Remember we spoke about Printable solar panels some time back. These were in the final testing phase when we last read about them. The technology is pioneered by researchers (from CSIRO – Commonwealth Scientific and Industrial Research Organisation) in Australia. These are organic solar panels that can be printed using conventional printers. 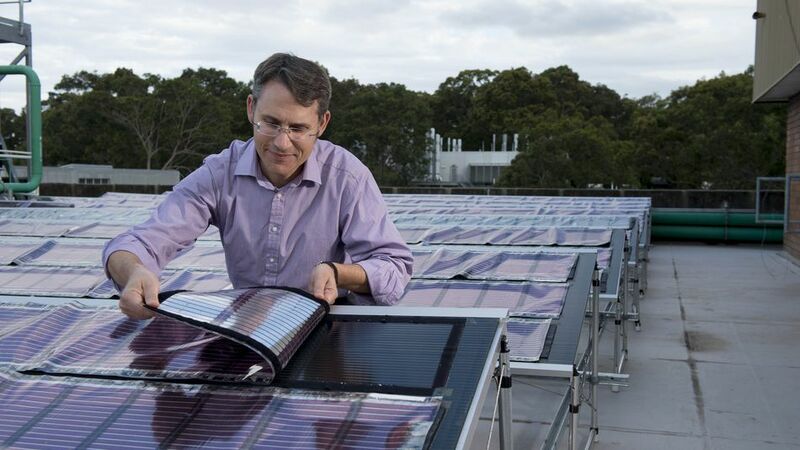 The printable solar panels are being touted as convenient, easy to install and very reasonable costing nearly $10 per square meter. The printable solar panels have been installed at a repair facility in Australia covering 200 square meter area and are the first commercial application of the technology in the whole world. The istallation was completed by just five employees in a day’s time. If proven to be successful, the printable solar panels could be the next solar technology breakthrough given its convenience and low cost. Can you imagine the benefits of going solar coming in the form of stickers? You could be using it virtually everywhere – on your rooftops, walls of skyscrapers, window panes, backpacks, balcony facades etc. Since the technology is still new, it lacks the same efficiency levels as a silicon solar panel and also degrades faster. Solar ink, comprising of metal salts and photoactive layer, is used. It is possible to use inkjet printers to print solar cells onto plastic substrates. However, given its low cost, the printable solar sheets are ideal for those who want to explore solar and are skeptical about installing rooftop solar or have weak roof structures. These solar panels can also work well in cloudy weather and can be used anywhere. We are expecting rapid improvements in the technology going forward. Even if it fails to catch the same momentum in applications as solar panels, it could find usage in commercial products using solar energy for example, in like phones, tablets, laptops, bags, window panes, solar caps etc. Can you imagine the pace of development of solar energy? Not only has it become a mainstream source of power globally, but is also coming up with substitutes. I hope the technology gains enough popularity to be shipped all across the globe. Also, read about Solar Smart Flower and Solar Blinds.